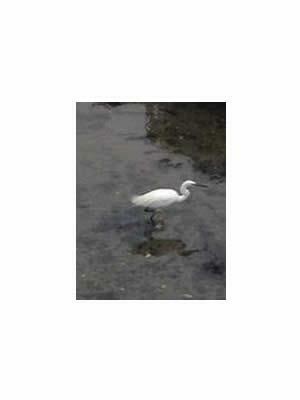 17 This is an Egret. Not sure from the photo if it is the little or great white. Size is the main difference between the two, the little is '60cm , the great white is much bigger at '100cm. Black bill and it's a Little Egret.